Updated Thursday January 12, 2017 by Gloucester Lacrosse Association. The Gloucester Lacrosse Association has a fundamental commitment to the growth and development of the game of lacrosse in Ottawa. The Association has a 'no release' policy for players residing within the Gloucester Lacrosse Association boundaries. However, in special circumstances as determined by the GLA executive, a release may be granted as long as it abides with the OLA and GLA Constitution. When a release is granted the caliber of the player shall not enter the decision (MR3.07). Release requests cannot be submitted after May 1st of the current season (MR3.01). The player requesting the release must be registered with the GLA prior to requesting the release and OLA approved for the current season prior to any participation (MR3.01). HOW DO YOU APPLY FOR A RELEASE? The Player must first be registered (including payment) with GLA. 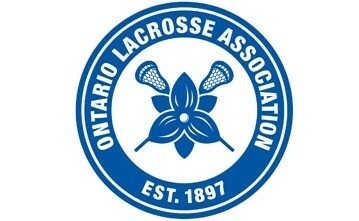 The Player or Parent/Guardian must complete section 1 of the Ontario Lacrosse Association (OLA) Release Request Form and deliver it to the GLA President (Greg Rampley), with a copy also being sent to the Zone 5 Director (Mike McKay). GLA will respond within 72 hours to acknowledge receipt of the request and notify the player/guardian of the date & time of the release hearing. Release requests will typically be heard at the next scheduled Management Committee meeting. Approve the release and provide the applicant with the approved release form. You can appeal your release to the Zone 5 Release Committee (there is an appeal fee). If the request is again denied the request can be taken to the OLA Appeals Committee (there is another fee for this). If the request is again denied, the player’ can either request a refund, or continue to play with his/her current association and try to resolve the differences that led to the request for a release. A refund will be given via the new SportzSoft online registration system less the admin fee. The player must then re-register with the next closest club and deliver the signed two-page release form to the registrar of his/her new club as proof of release . The new club's registrar will record a comment in the online registration system indicating that confirmation of the release was received so that the Zone 5 registrar is aware. In the event a release is granted, the GLA Refund/Cancellation policy will apply (i.e. withdraw/refund registration will be subject to a $35 administration fee). E-payment fees associated with online registrations are non-refundable.